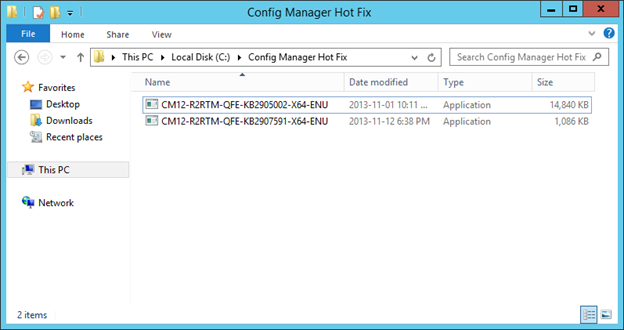 As soon as we finished installing SCCM 2012 R2, we should consider applying hotfixes to patch any known issues. 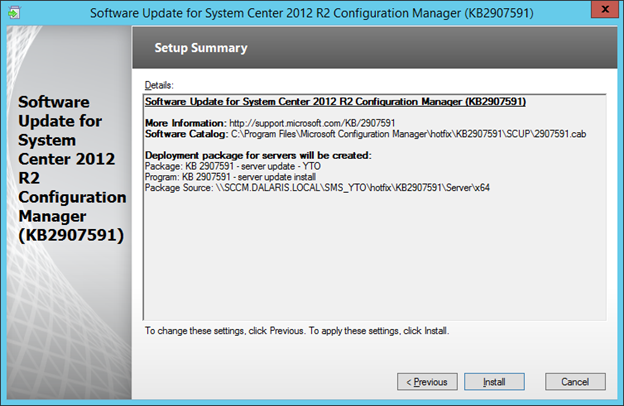 In this lab, I will be installing two hotfixes; namely, KB2905002 (current version should be KB2910552) and KB2907591. 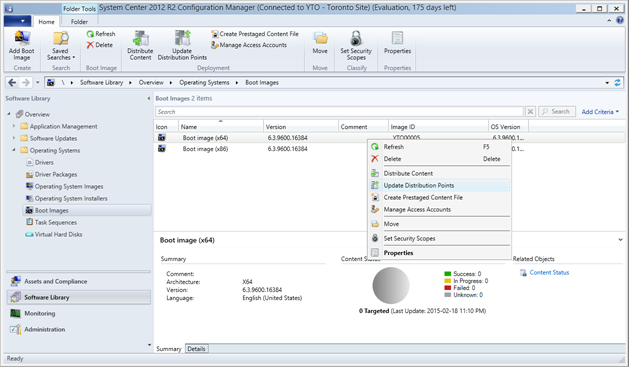 Windows Deployment Service (WDS) stops running after you enable the PXE Service Point role. Download of OS Images to the CM2012 takes a longer time to perform. As you can see, I have two hotfixes downloaded. Double-click on the first one. Verify that all pre-requisite checks passed and click Next. Checkmark on “Install the updates for CM console” and click Next. 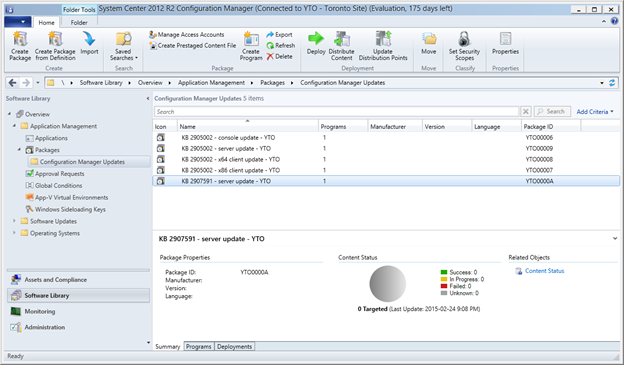 The hotfix that we are installing will create packages that can be used to deploy to other Configuration Manager servers. Click Next. 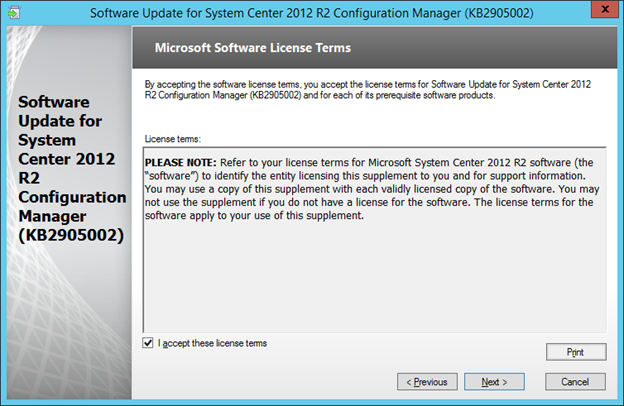 The package name should come up by default. 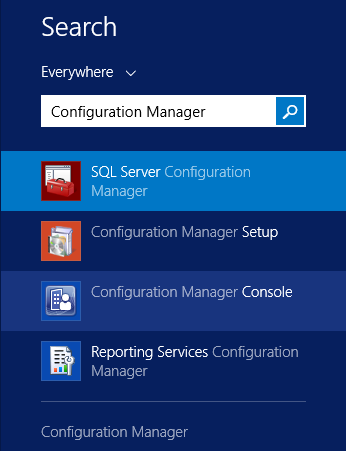 Package name for console also comes up by default. 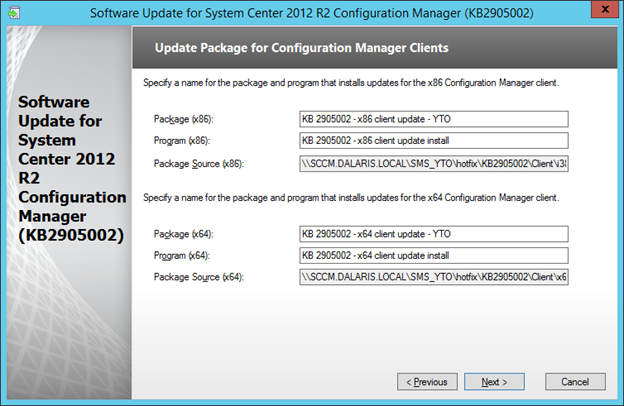 Accept the default package name for x86 and x64 CM Clients. Review Summary and click Install. 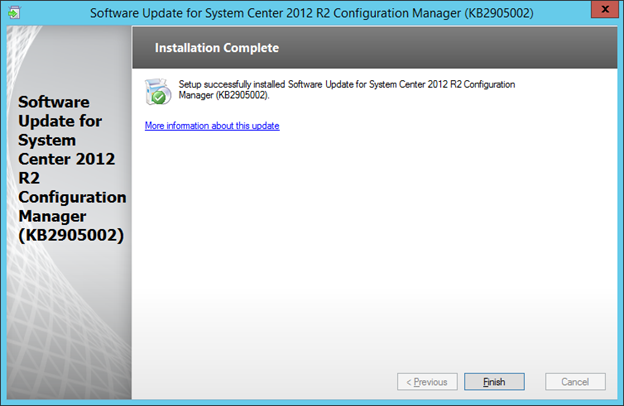 Verify that the installation is successful. Click Next. 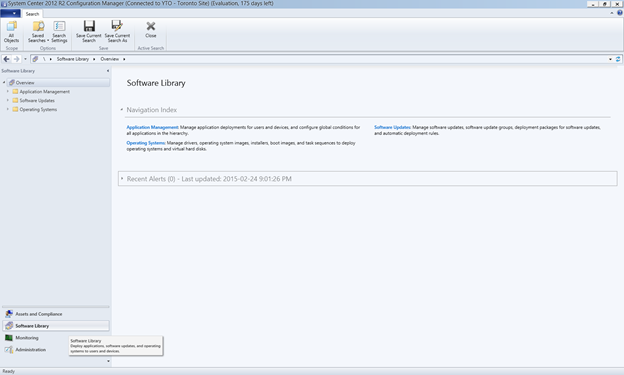 Click Software Library at the bottom left corner. 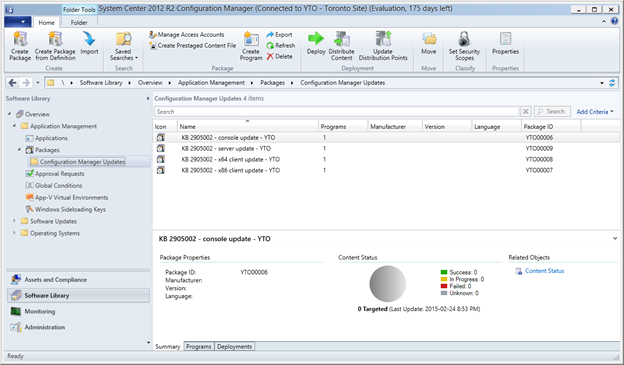 Expand Overview -> Application Management -> Packages -> Configuration Manager Updates. You can see the packages that were created by the hotfix. 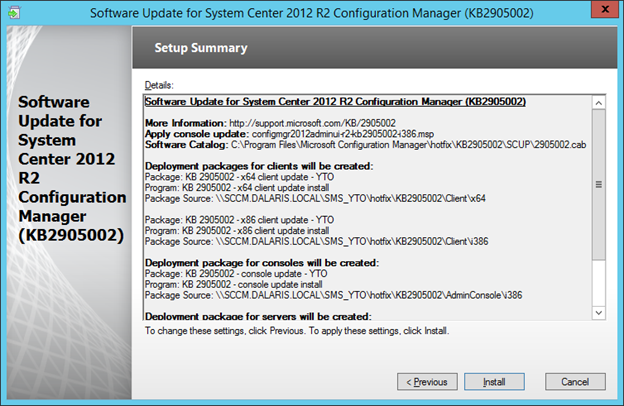 There are four of them: Console update, server updates, client x86 update, and client x64 update. Now, we will be installing KB2907591 by double-clicking on the file. Accept the default package name. Click Next. 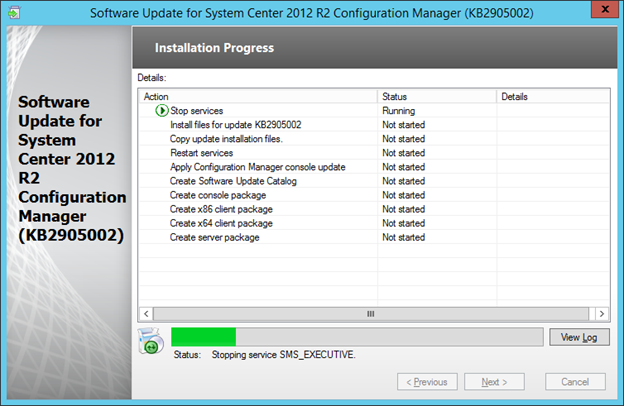 After the installation is complete click Next. 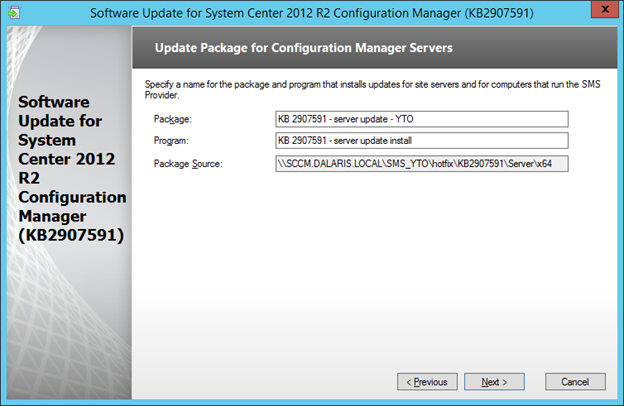 Now launch Configuration Manager 2012 R2 Console and verify that the package is created by the hotfix. 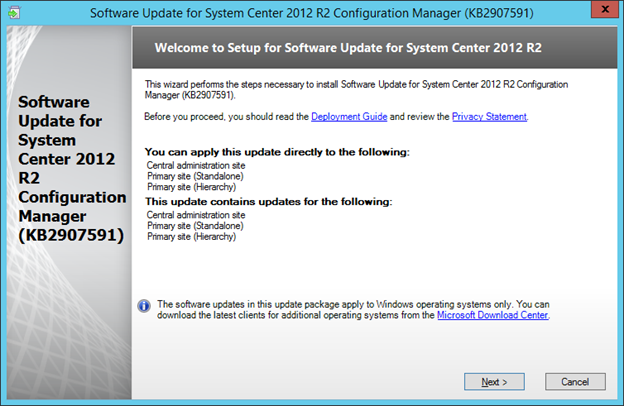 Once the update is installed on the servers, all Operating system Boot Images should be updated. 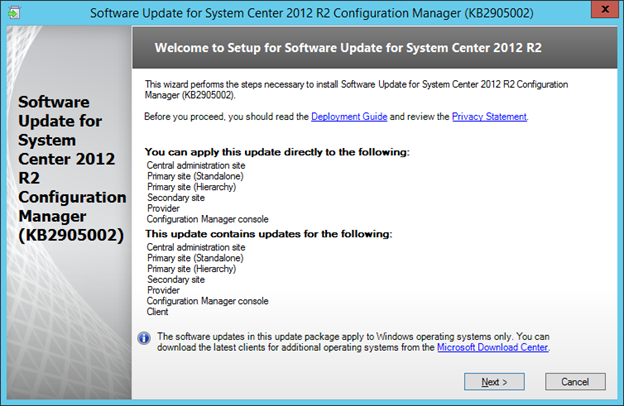 However, any update you want to perform after the installation of updates can be done by clicking Software Library -> Operating systems -> Boot Images. 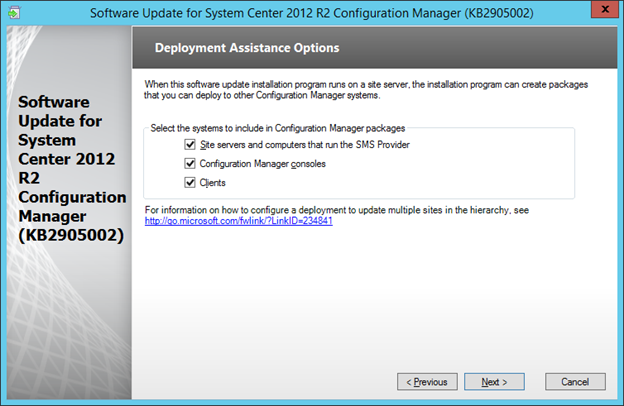 From there, you can select the boot image you want to update and right-click on it, select the Update Distribution Points action.